Mustard seed oil is often used in Indian head massages because of the rich nutrients and vitamins contained in the oil. Despite its pungent smell, it is used for cooking in a lot of places in India as well. 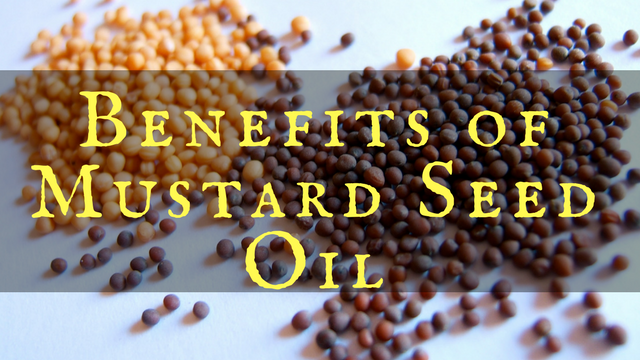 In India and Pakistan, mustard seed oil is used for several household activities as well. Mustard seed oil aka Brassica Alba Seed is produced from black mustard, brown Indian mustard, and white mustard. 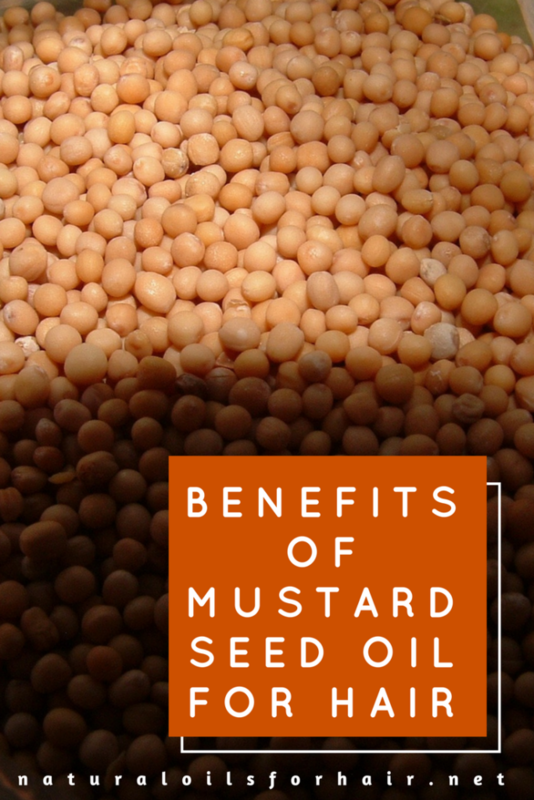 Mustard seed oil makes up about 30% of the seeds. It consists of fatty acids like omega-3 and omega-6, zinc, selenium and a high amount of beta-carotene. It tastes nutty and takes getting used to if you want to consume it although this may not be a good idea (read on for why mustard seed oil is banned from consumption in some countries). Mustard seed oil contains a good amount of beta-carotene. The beta-carotene is converted into vitamin A, which is a key component in healthy hair growth. Mixed in with a scalp massage oil, it can help promote an environment for healthy hair growth. Mustard seed oil stimulates the production of melanin on the scalp. This alters pre-mature graying and darkens the hair. I’ve tested this with my henna treatment and it works wonders. Selenium, an anti-oxidant property in the oil, protects the hair and scalp from free radicals and fosters an environment for healthier hair growth. The antifungal and antibacterial properties in mustard seed oil can help treat and eliminate dandruff and itchiness on the scalp. Mix all the oils together and massage into your hair and scalp. Cover your hair with a disposable cap and leave on for 2 – 3 hours before shampooing and deep conditioning as usual. You can also sit under a hair steamer for 30 minutes to help the treatment penetrate better. Due to its other properties, it’s best to use it before shampooing. Use this recipe no more than twice a week. As a treatment for dandruff, combine a few drops of lemon juice with mustard seed oil. Apply to your scalp and massage in. Leave on for about an hour, then shampoo and deep condition as normal. Lemon juice lightens hair so go easy on the amounts you add to the oil. Combine mustard seed oil with a henna treatment to combat greying. I have shared a nifty mustard seed oil and henna recipe with a video HERE. Does Mustard Seed Oil Regrow Hair? While it has some properties that help eliminate pesky scalp issues, mustard seed oil isn’t an oil I would recommend primarily when it comes to regrowing hair. Some good recommendations for this are Jamaican Black Castor Oil, Emu Oil, and Burdock Root Oil. How to Grow Your Hair Healthy and Long with Natural Oils has an entire chapter dedicated to oils for hair loss including tried and tested recipes. There are some side effects when mustard seed oil is consumed. It is not an ideal oil I would recommend cooking with. However, for application on hair, it should be fine but conduct a patch test before using anyway. Mustard oil is sometimes adulterated with another oil named argemone oil, which makes it toxic. Always look for a known brand and check the seal before purchasing. Mustard seed oil goes rancid quickly so buy in small quantities and store in the refrigerator once opened. Also, check that the expiration date is not too close to the date you make the buy. If you are an avid DIYer, have a look at How to DIY Mustard Seed Oil. The process is very simple and takes less than 30 minutes with only a few ingredients from your kitchen. Mustard seed oil is banned in some countries because it’s considered unsafe for consumption. I found this article on Wikipedia about the reason why. Although there are claims mustard seed oil is safe for consumption once heated, I prefer to go for the more common cooking oils. For more articles like above, sign up to the newsletter below for updates, tips, discount codes, exclusive entries into giveaways and discount on the Healthy Hair Care series resources. How did it go with the henna treatment?